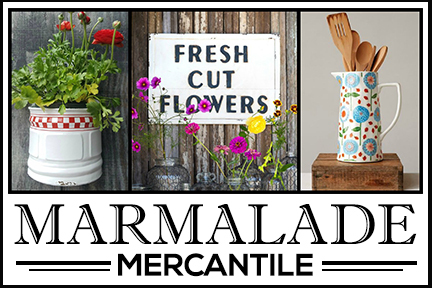 Want an easy project you can make quickly that smells oh so good? 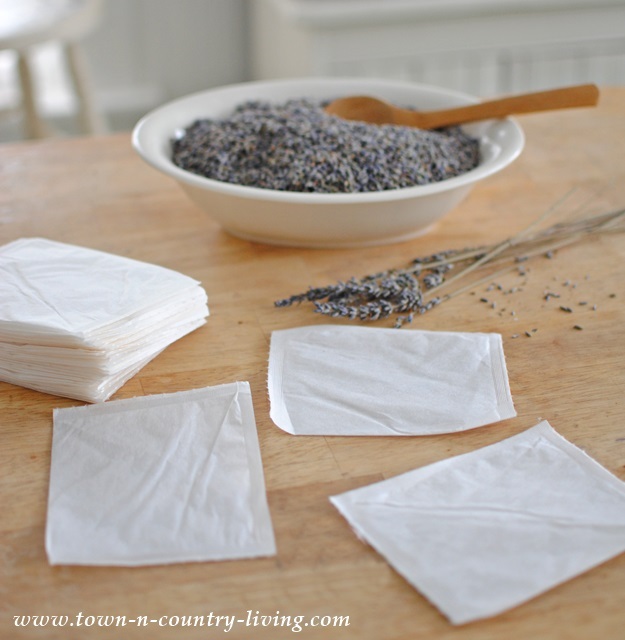 I’m here to show you how to make lavender dryer sachets. Yes … dryer sachets! 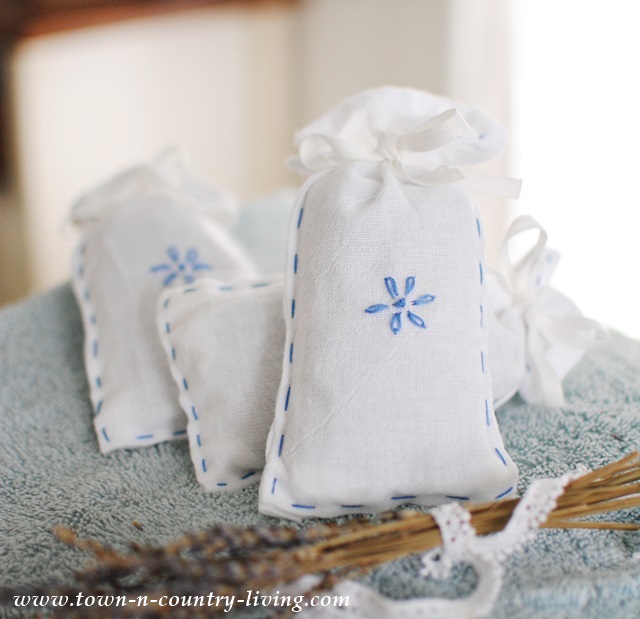 In a matter of minutes you can have pretty, lavender dryer sachets that you toss into your dryer to make your laundry smell fresh and beautiful. 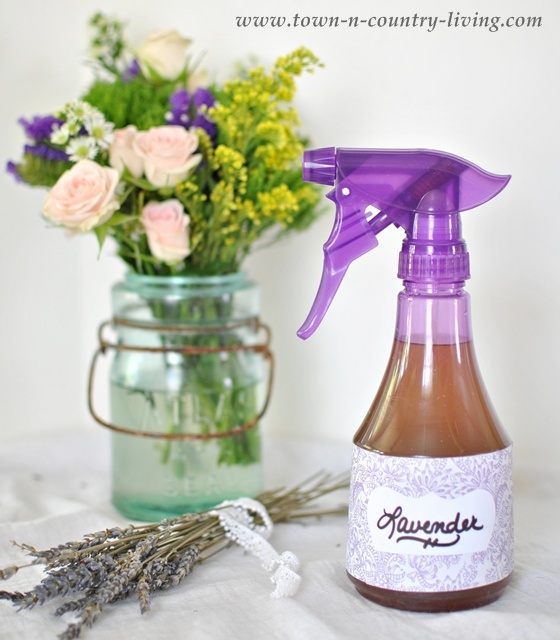 The subtle scent of lavender is sure to boost your spirits during these gray winter days! But you can opt to fill your dryer sachets with whatever scent you choose! 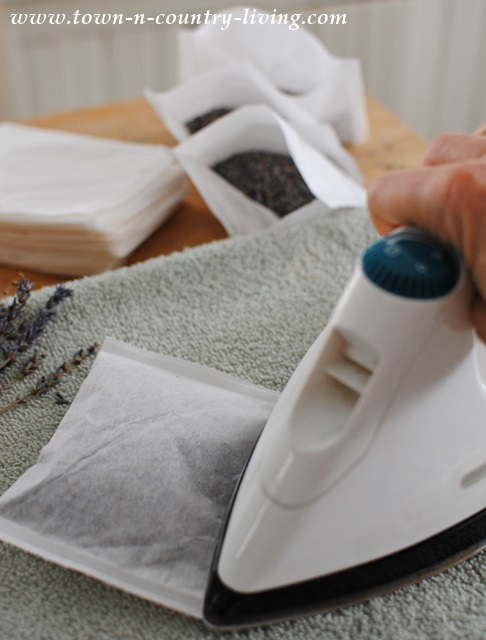 Start with “heat-sealing” tea bags that you can order from Save-On-Crafts. 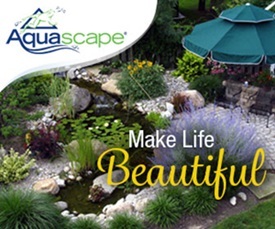 They come in packs of 100 and can be used for a variety of projects. Fill each pouch with fragrant lavender buds, which you can also purchase from Save-On-Crafts. Mmm. 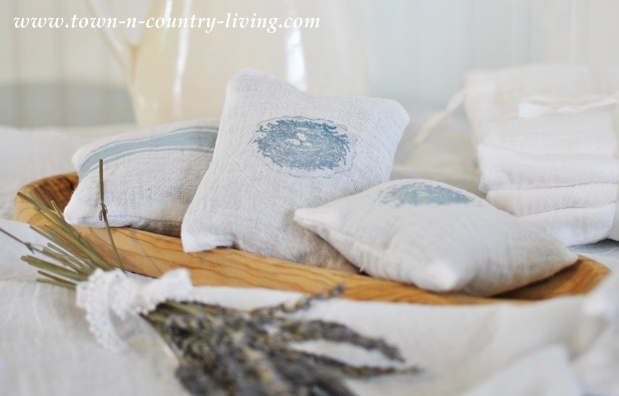 I love the scent of the lavender while making these dryer sachets. Then seal the open side of the pouch with an iron, pressing down for about 10 seconds. 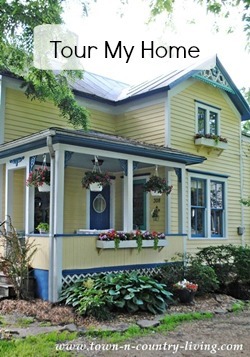 … or you can purchase pre-made drawstring muslin bags from a craft or fabric store. 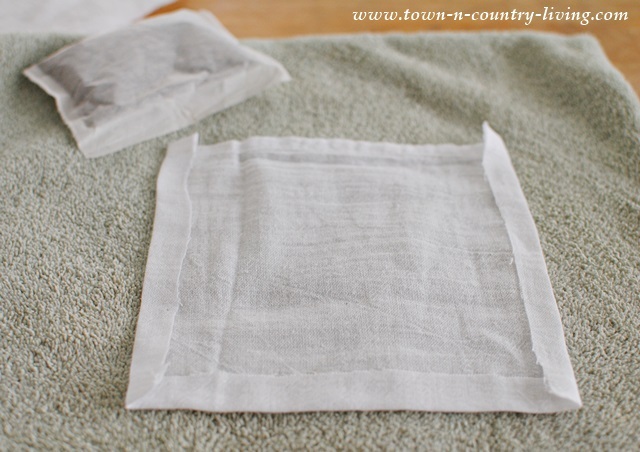 I made my own little bags using plain white tea towels that I cut into 8″ squares. 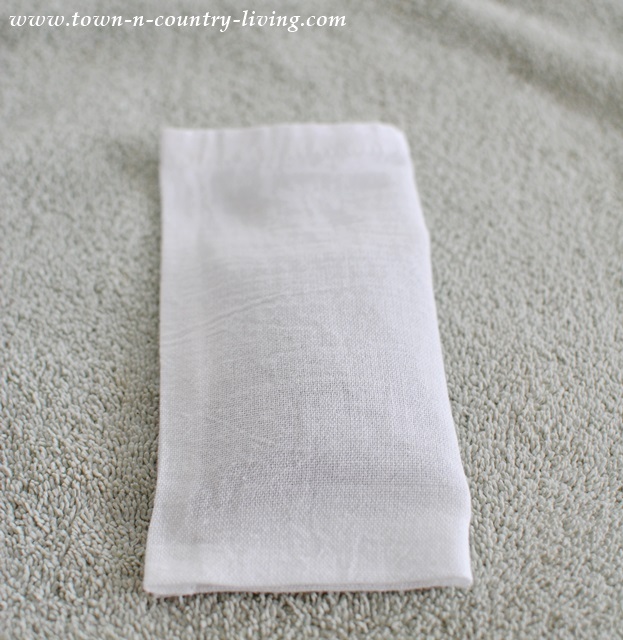 You could also purchase muslin fabric … muslin is an inexpensive fabric and it’s easy to work with. After cutting, I folded 3 sides in at about 1/2″ wide, leaving the hemmed end of the towel at the top. Then fold the fabric in half – you can place the filled pouch inside to make sure it fits. Then grab 3 strands of embroidery thread and simply sew a running stitch along 3 sides. You’ll leave the top open so you can stuff the filled tea bag inside. To finish, simply tie the bag at the top with ribbon. If using a pre-made drawstring pouch, simply pull the drawstring tight. I added a small embroidered flower to my bags but it’s not necessary. 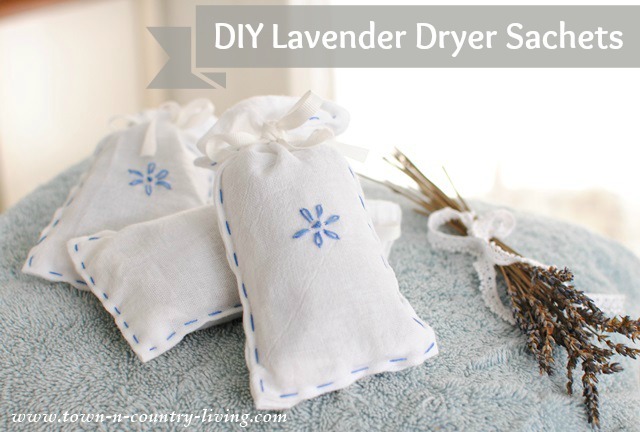 Simply toss into your dryer to add a light lavender fragrance to your laundry. 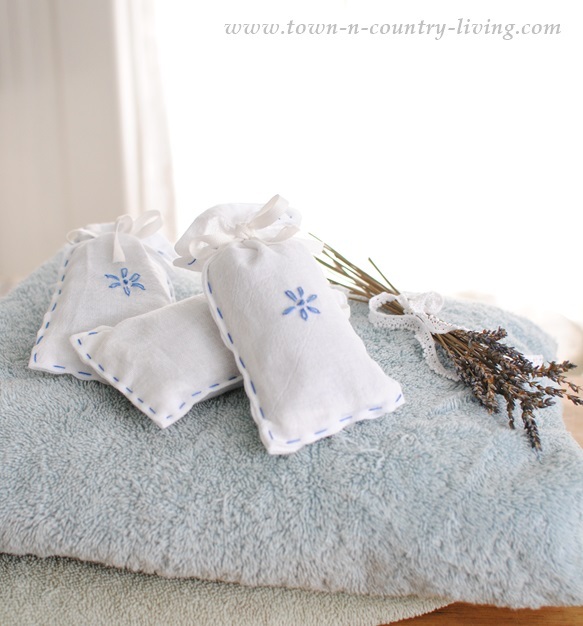 Although these lavender dryer sachets smell fragrant, they only add a trace of scent to your laundry. 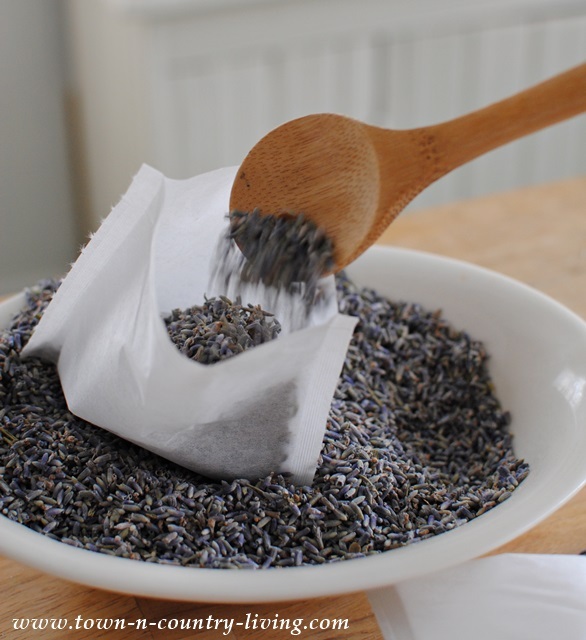 If you prefer a stronger scent, toss in more than one lavender dryer sachet with each load. 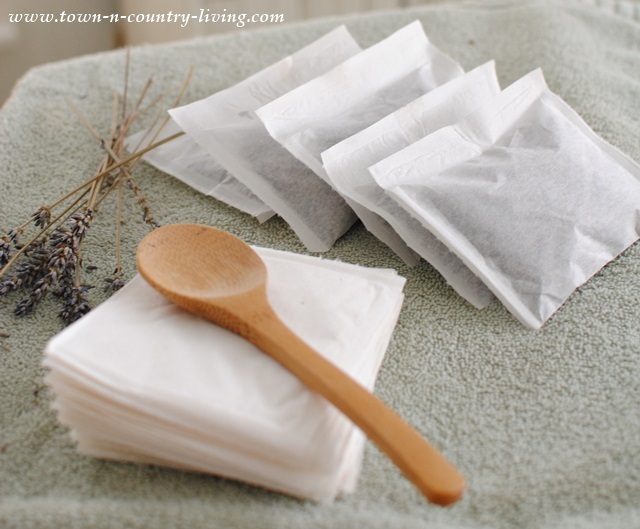 Once they lose their fragrance, simply replace the lavender-filled tea bag with a new one. Those are great! are you selling them? I’d almost rather buy some than get all the stuff together and make them! How pretty these sachets are, Jennifer! The embroidery is definitely that special touch and I know they must smell just wonderful. 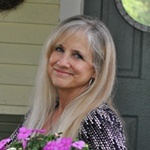 Thanks for sharing your technique with your readers!